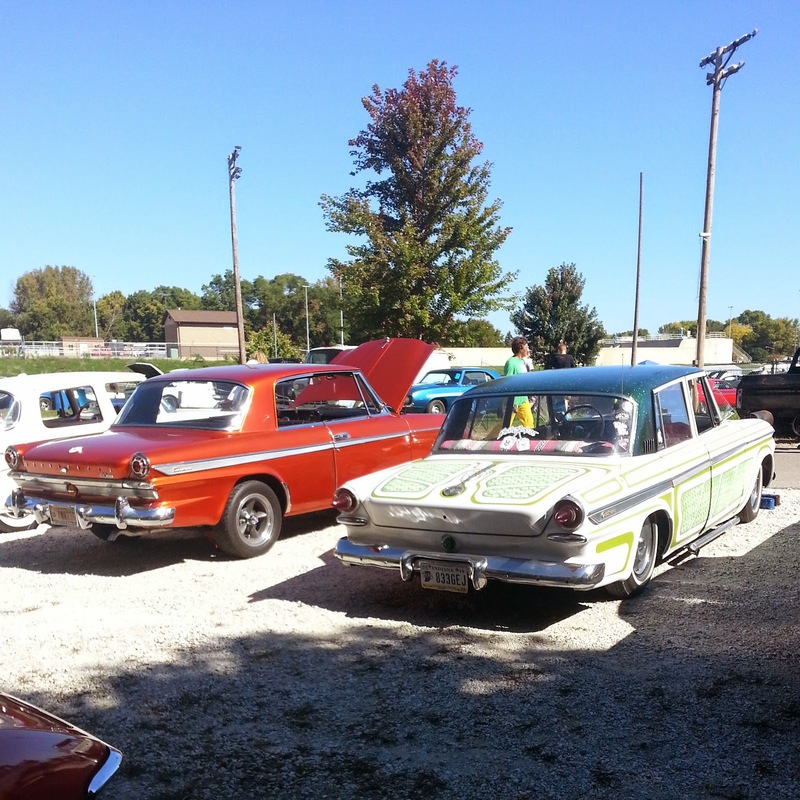 The Ducktail Run was a great success. 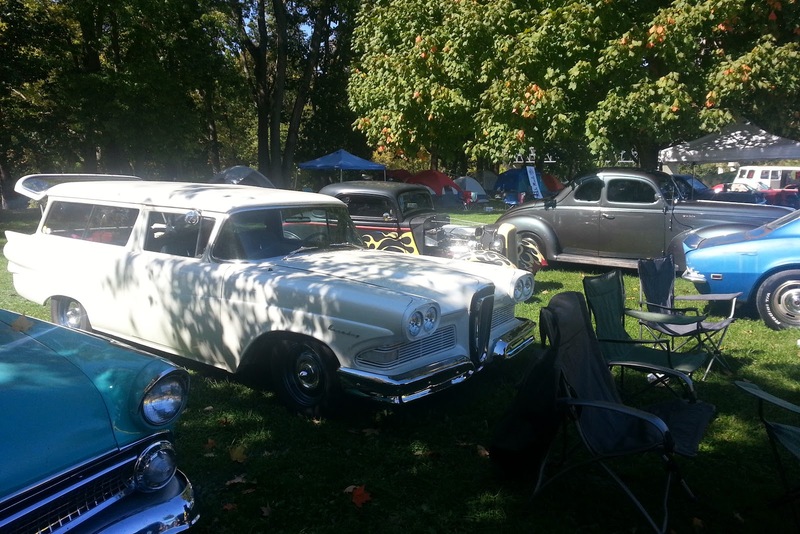 If you can make it to a car show - this is definitely one to attend. 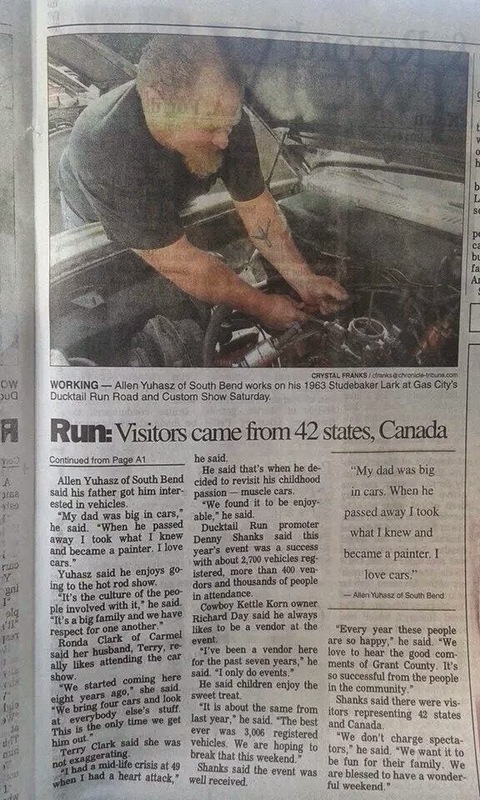 According to a newspaper article, which featured Allen working on the Lark, people from 42 states and Canada attended the car show. It's an understatement to say it was large. I know I didn't see everything in the two days I was there and that's okay - I covered so much ground looking at cars and the enormous swap meet - I don't feel like I missed anything (except showers I missed those). Both nights I attended (and even the last night when we packed up and left) there were flame shows. I can't wait for next year! 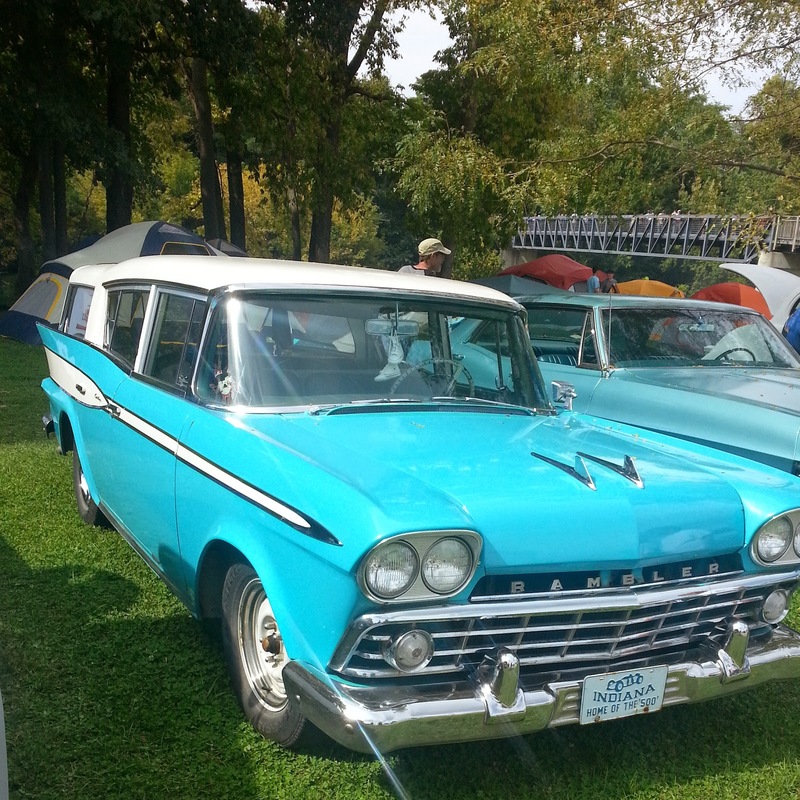 An edsel wagon! Next season ours will be ready! One of the many flame shows. Caution: Very loud noises! I was originally sitting at the campsite when the flame show started and I could feel the heat. I moved closer (because I was so cold). I'm surprised my face (and phone) didn't melt! 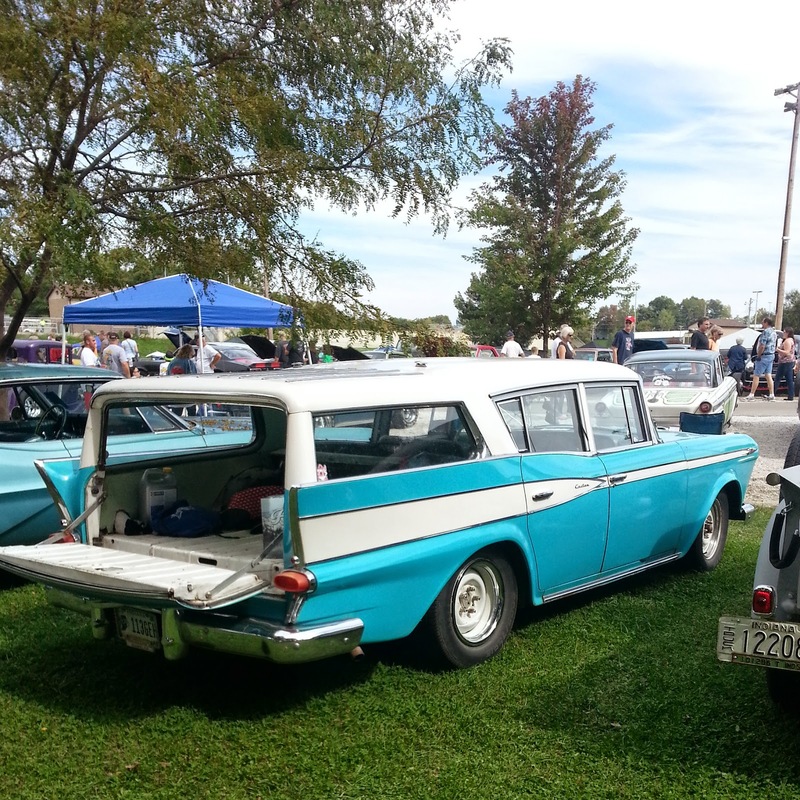 I know I said it before but if you get a chance to go to the Ducktail Run next year - do it! - you won't regret it.